Oslo 6th March, 2019. 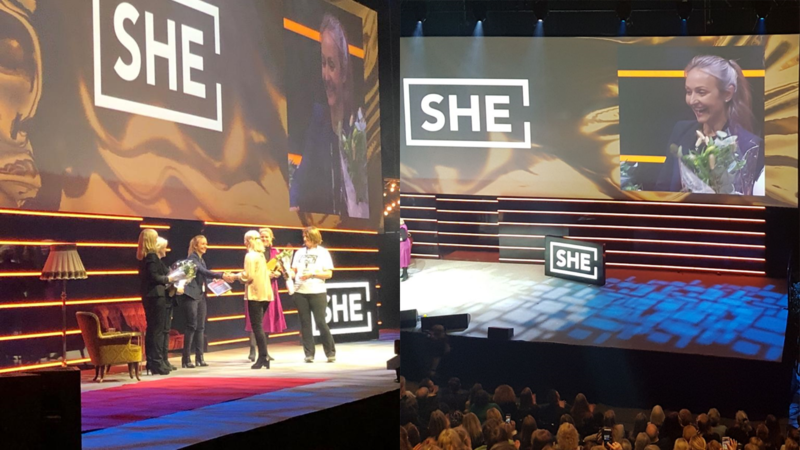 Today Ingrid Teigland Akay, founder and managing partner at Hadean Ventures, received the Investor of the Year award at the SHE conference 2019. The SHE conference is Europe’s largest gender diversity conference held in Oslo, Norway annually. It brings together business professionals from across sectors and borders, including corporate leaders, entrepreneurs, investors, politicians and students. The Investor of the Year title is awarded to a person who has started a positive change, demonstrated big thinking and has shown good implementation capacity. He or she is a role model for their surroundings, and for all women with high ambitions.